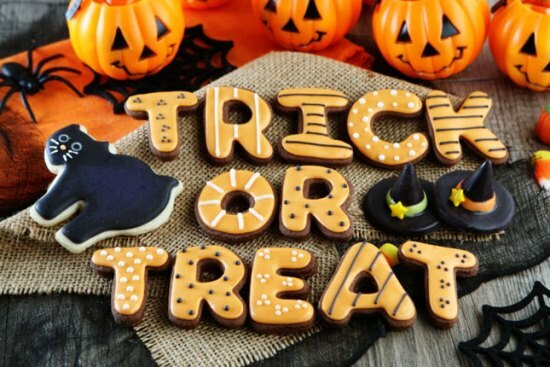 Halloween is a festival that all enjoy with equal fervor and much to everyone’s delight with quite a lot of spookiness. 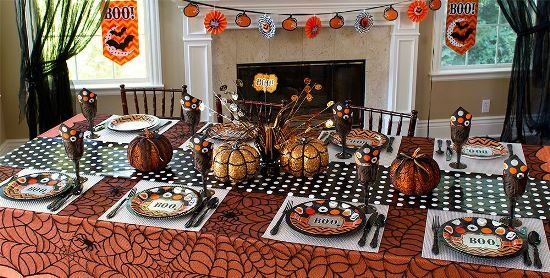 On this festival, you gather around with your friends at your or their place or a chilling Halloween party. 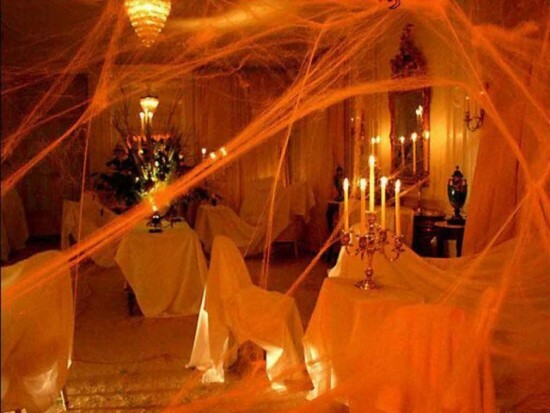 If you are to host a party, then you have the perfect reason to turn your home into a probable set of one of your favorite horror movies. 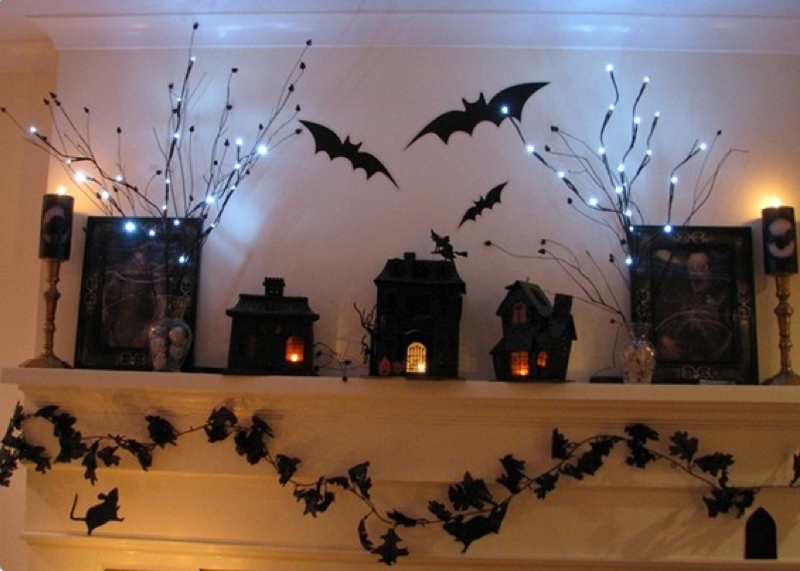 That will only add to the spooky effect which accentuates the enthusiasm surrounding this festival. If not exactly a replica of one of your favorite horror movies, there are a lot of other Halloween party decorating ideas that you could implement for your Halloween party. 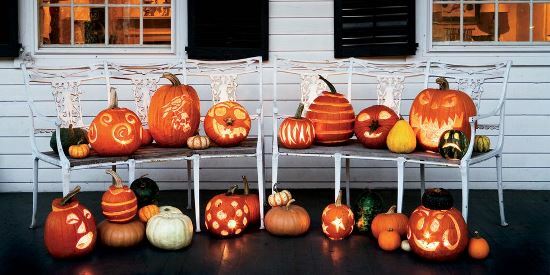 Let us explore some of these. 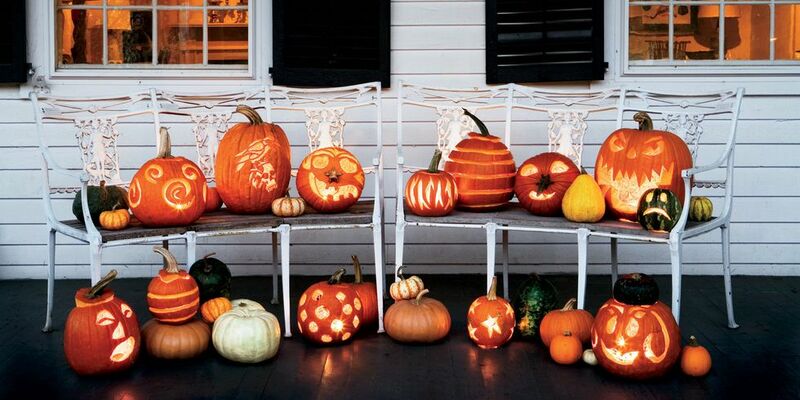 Whenever you think of Halloween, the first thing that generally pops up into your mind is pumpkins. 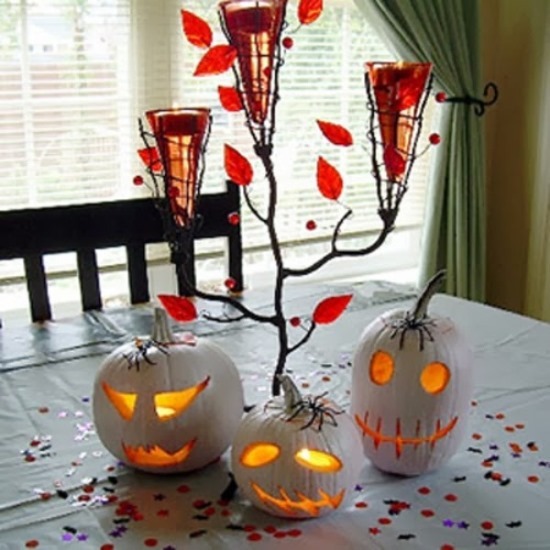 These fruits can be crafted to create some of the most spooky and scary elements of your Halloween decorations. 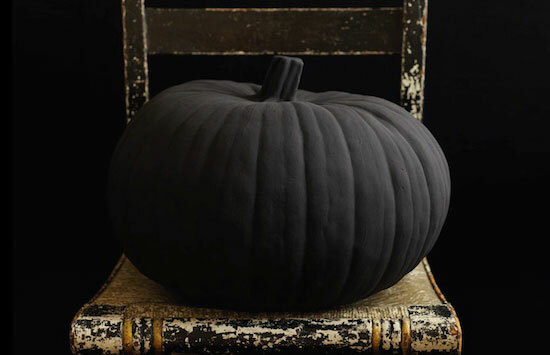 You could carve a mean face into the pumpkin and decorate it with some glow-in-the-dark paint that will make them look scarier during the party. 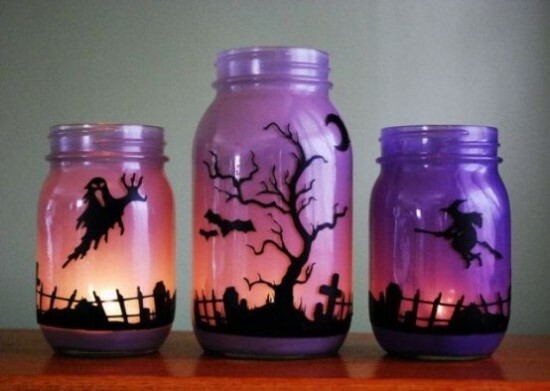 You can also paint them with glitter paints. 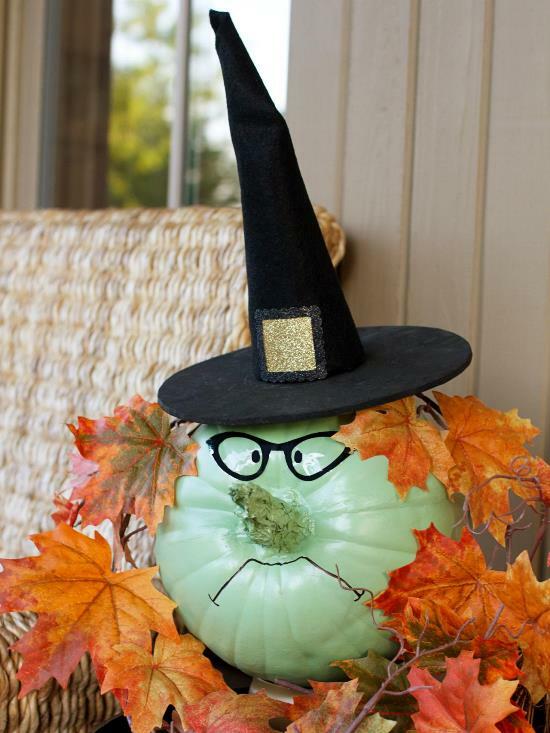 Other than a mean face, you could decorate your pumpkin to make it look like a witch, all with a hat and a crooked nose! 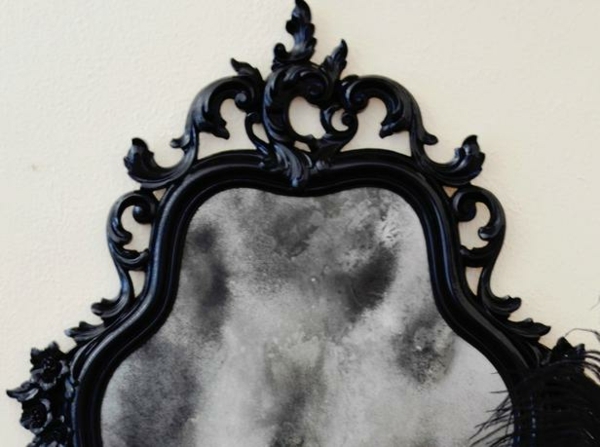 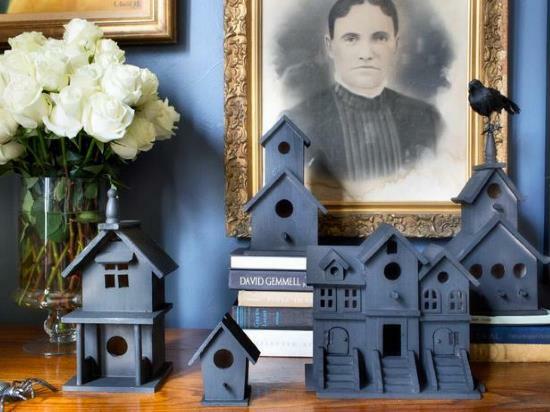 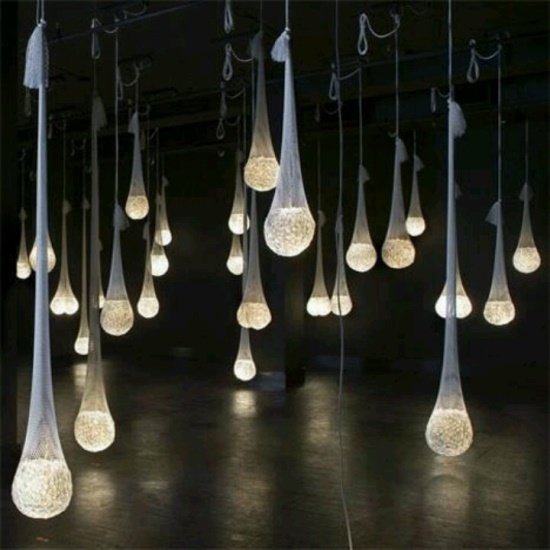 You can also paint it with black or red color to give it a complete witch effect. If you’re more of a Do-it-yourselfer, then there are many DIY Halloween decorations you can come up with. 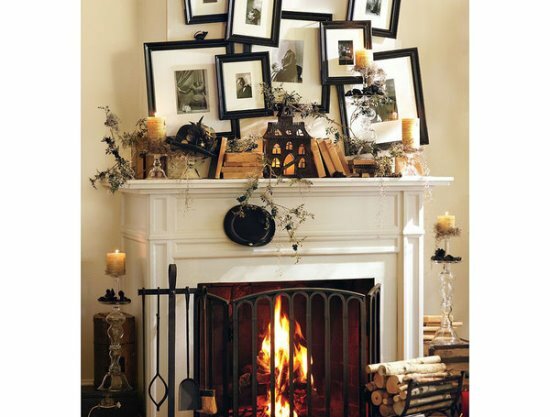 You might be having old, vintage family photographs, if not you can buy some for the party. 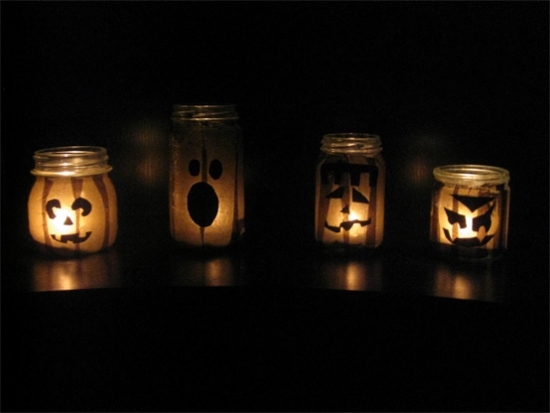 Apply glow-in-the-dark paint on the eyes and roll them up so that they can fit into jars. 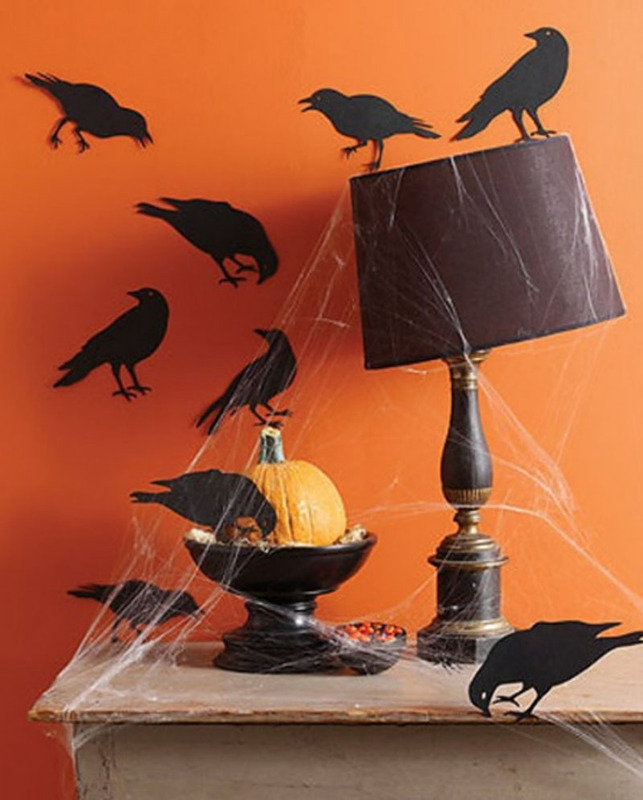 This is probably one of the eeriest decoration ideas you can come up with. 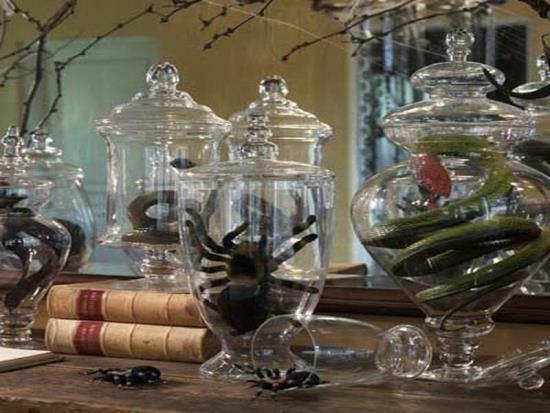 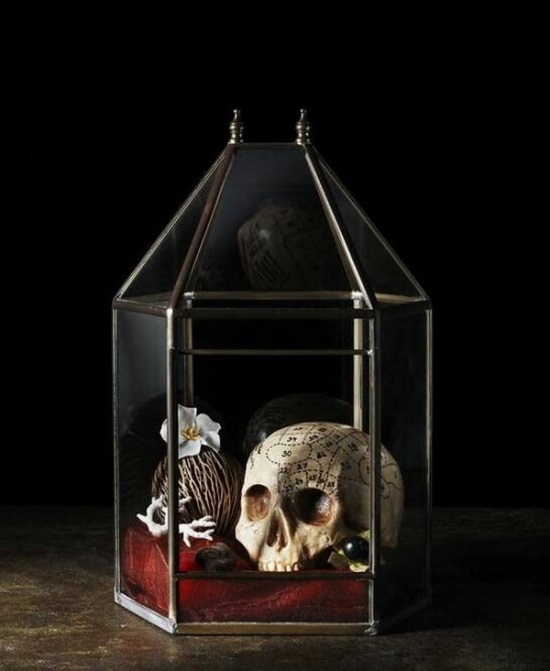 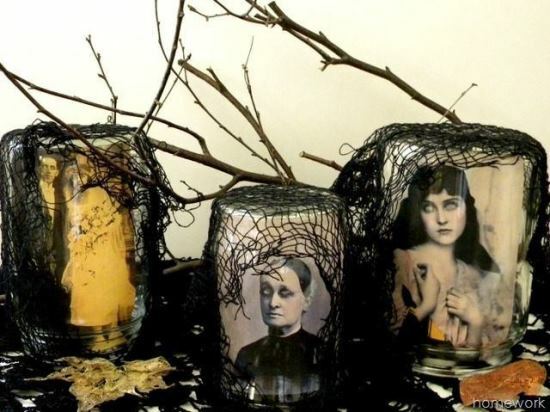 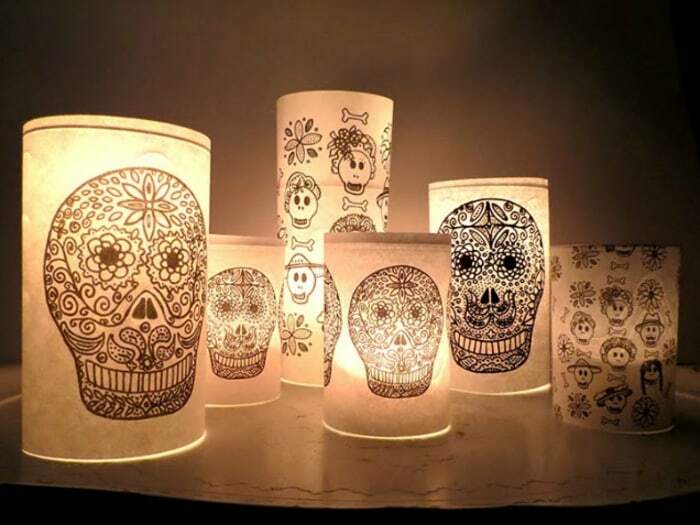 You can further enhance the eerie effect by adding black netted fabric over the jars, dead leaves, and a few dead branches. 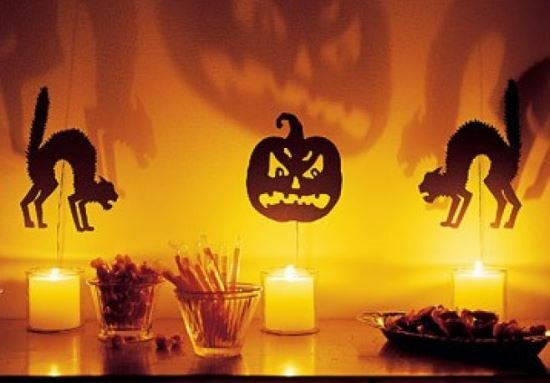 This is sure to spook up your party a bit. 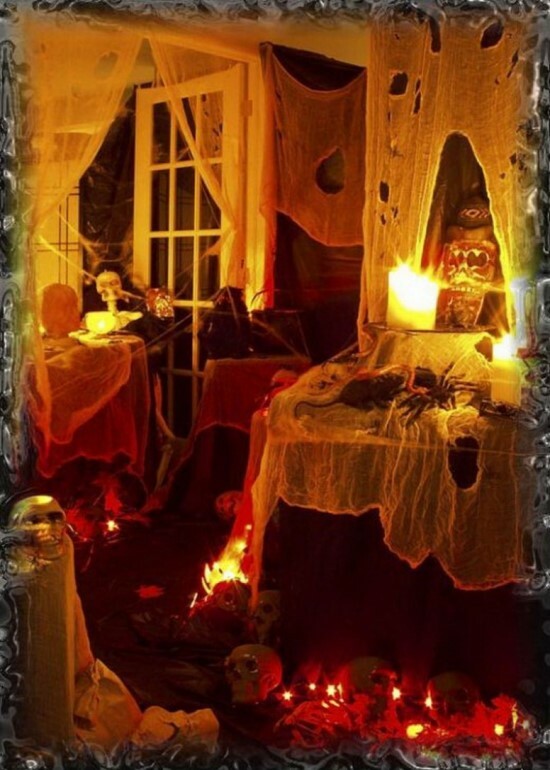 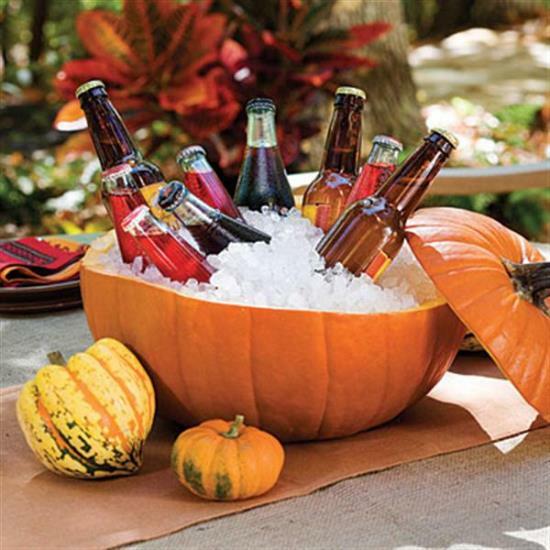 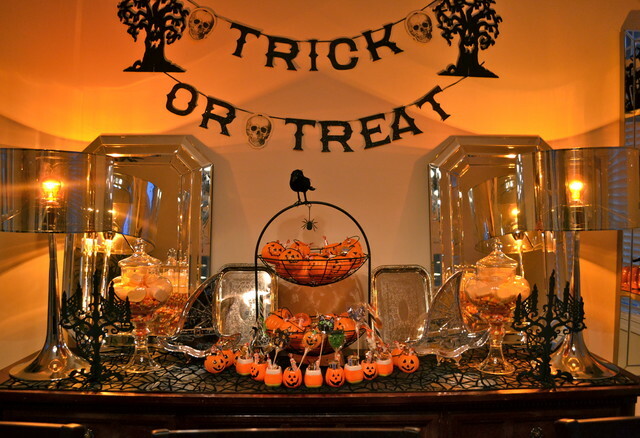 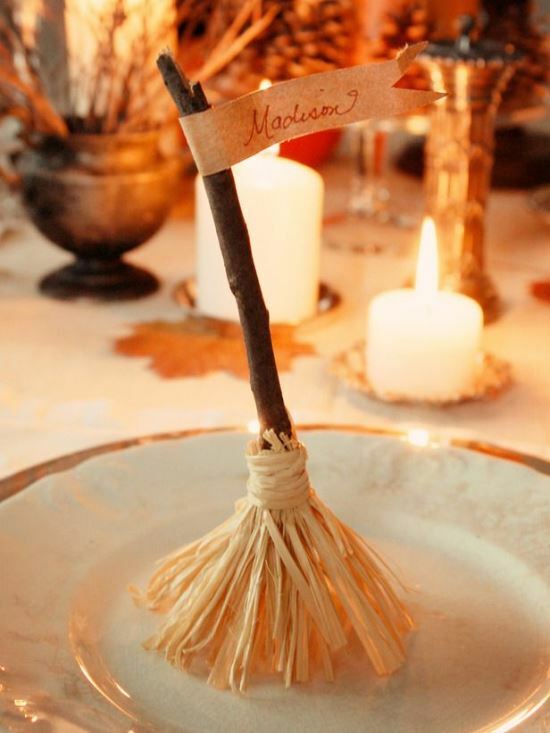 There are other Halloween party ideas you can implement in your home. 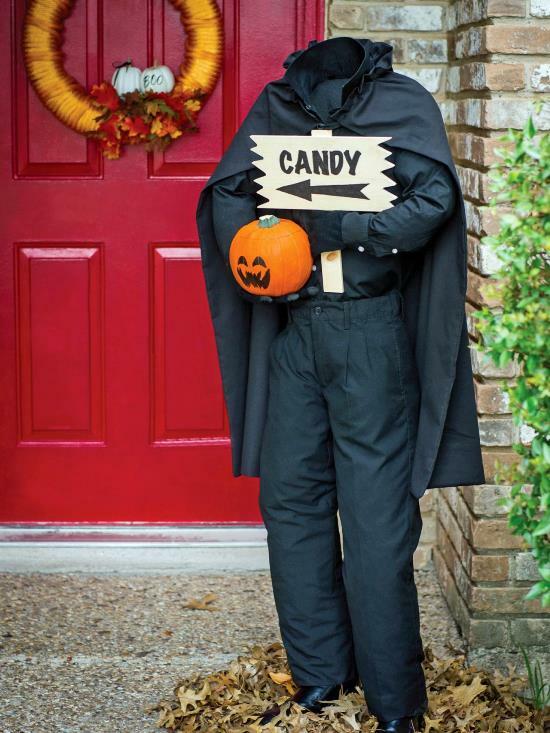 You could have a headless horse rider standing right outside your door to welcome your guests. 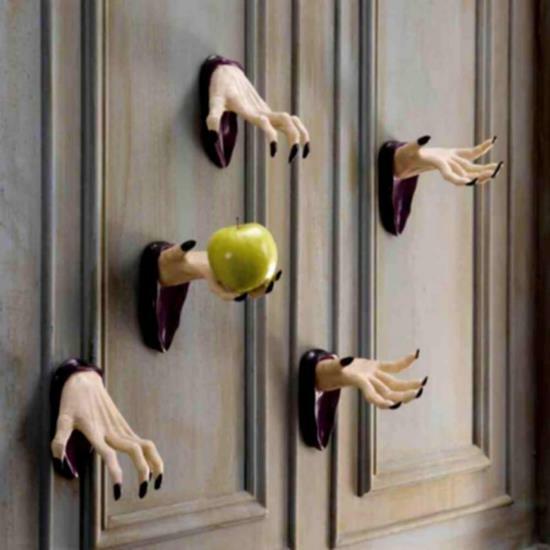 It sure will have a great effect. 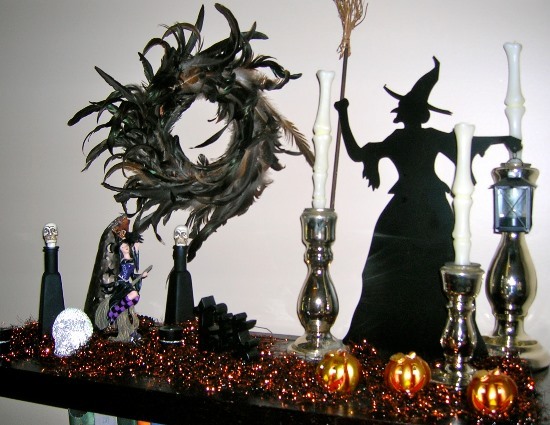 And then there are so many witchy ideas you can implement. 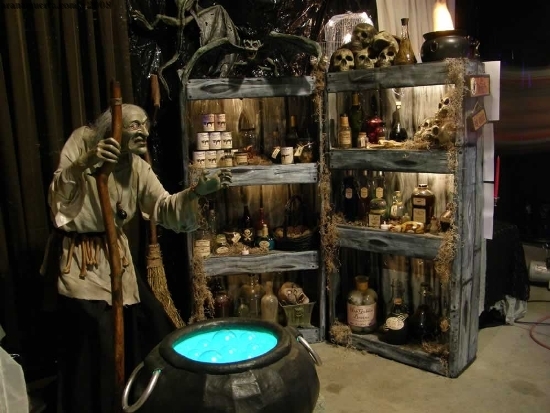 A witch’s dwelling is almost incomplete without ingredients such as snake’s oil, newt’s eye, etc. 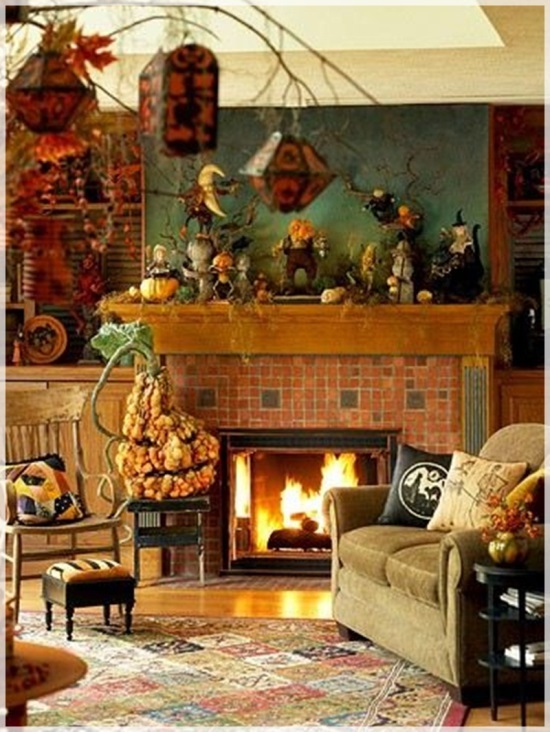 To complete the effect, you could set up a small hut like structure in a corner, and place a cauldron on a make-shift hearth surrounded by these ingredients. 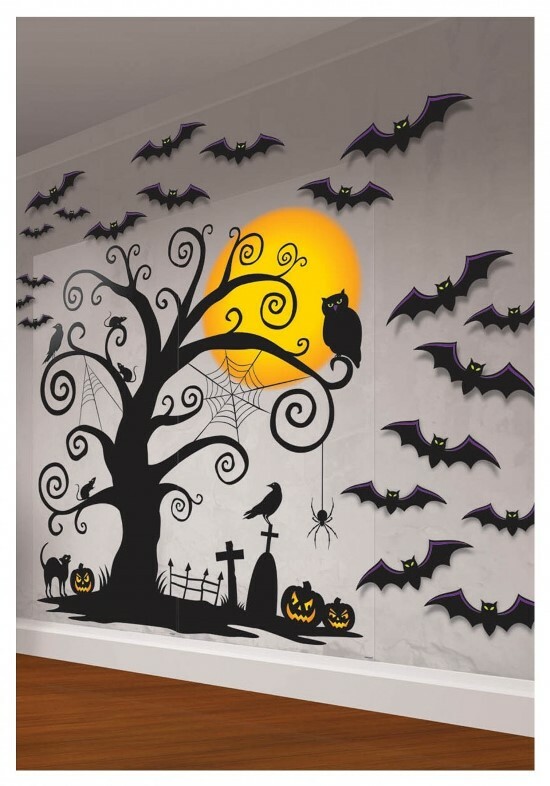 You could also put up a stuffed witch figure in the witch’s nook. 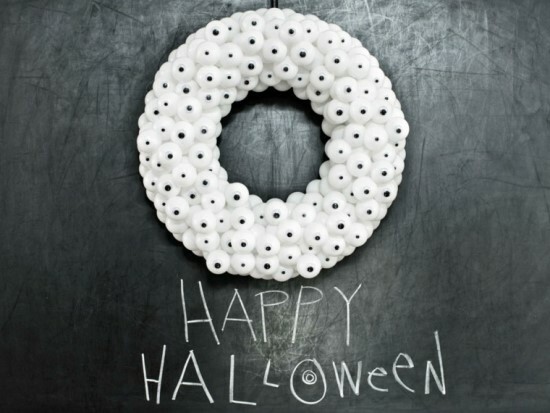 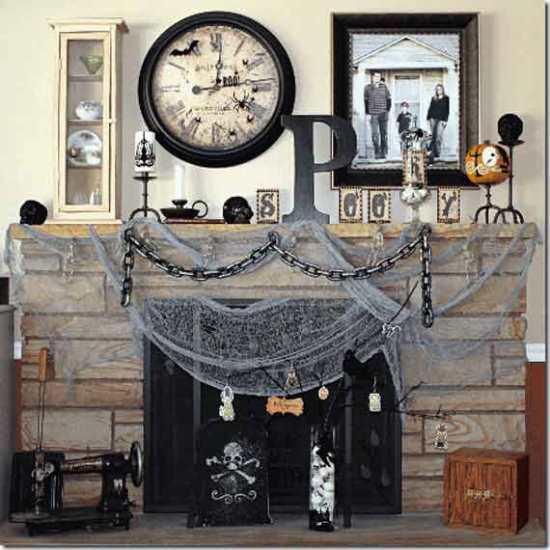 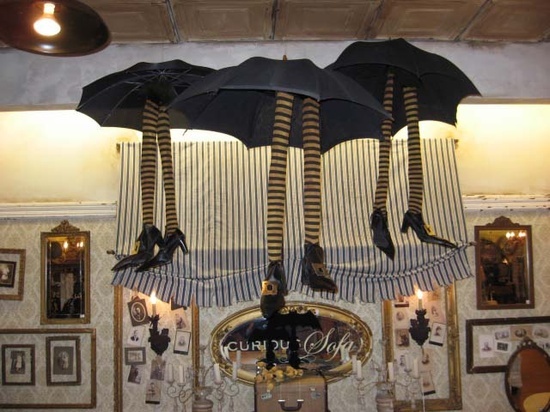 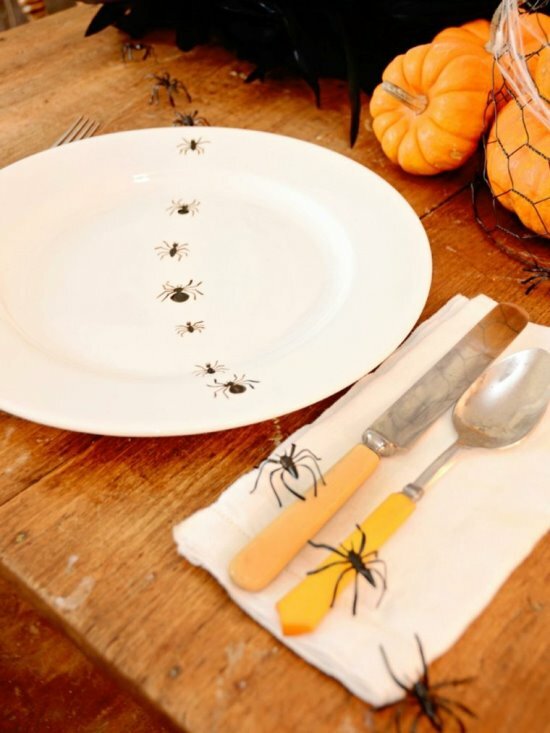 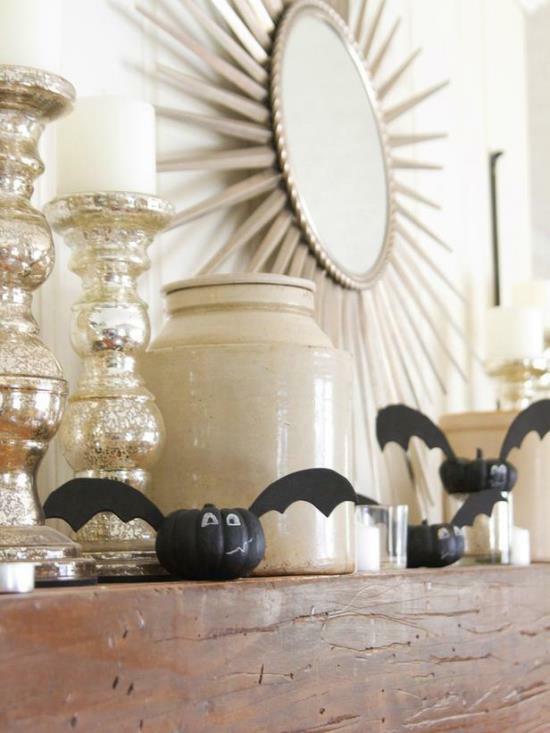 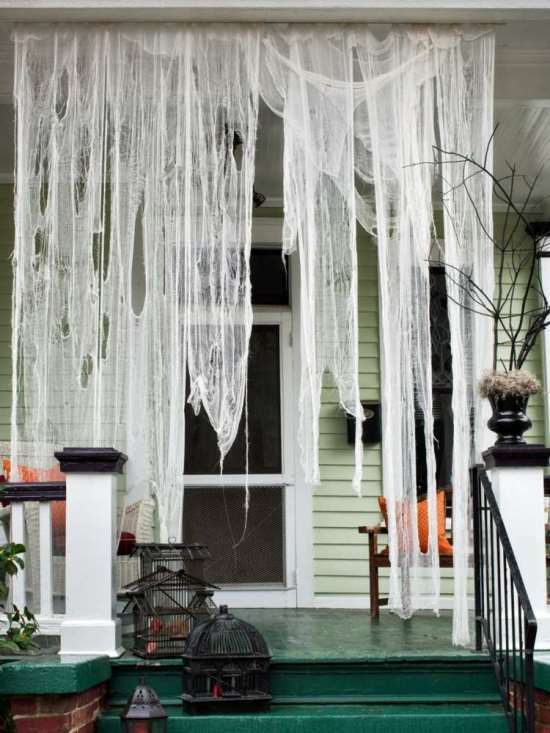 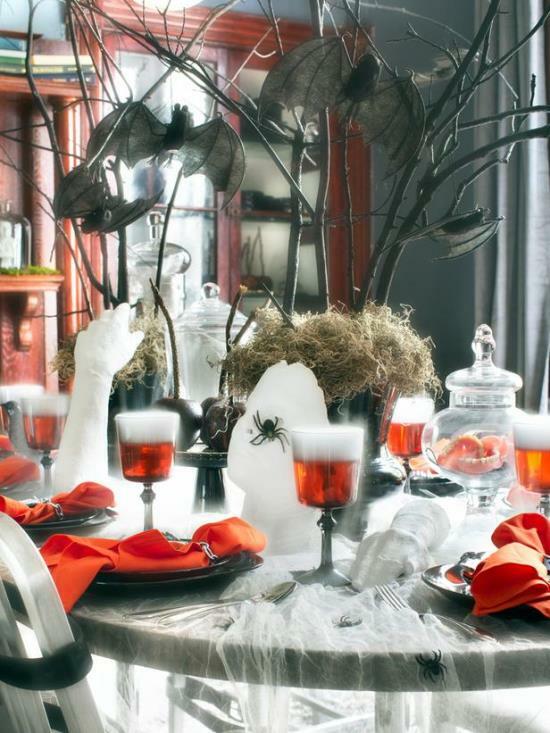 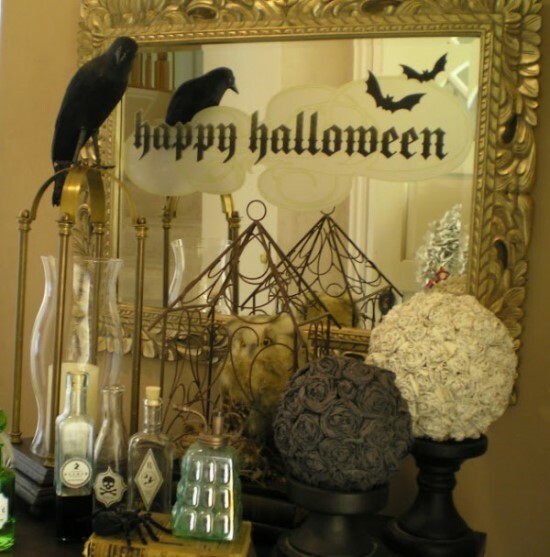 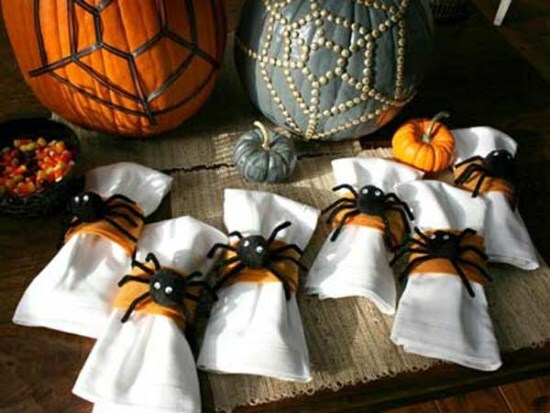 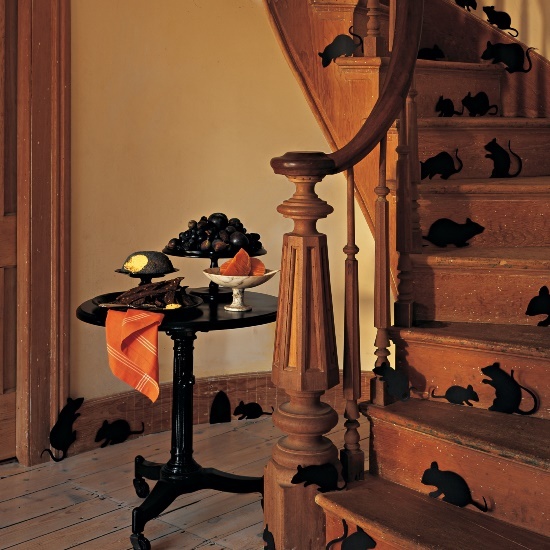 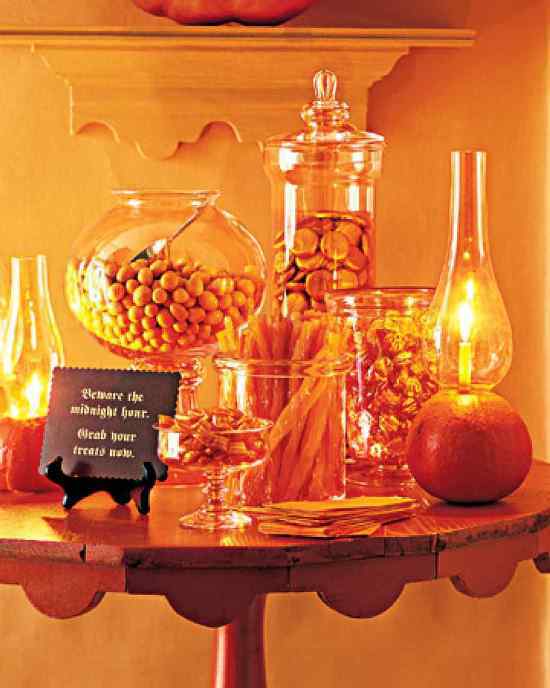 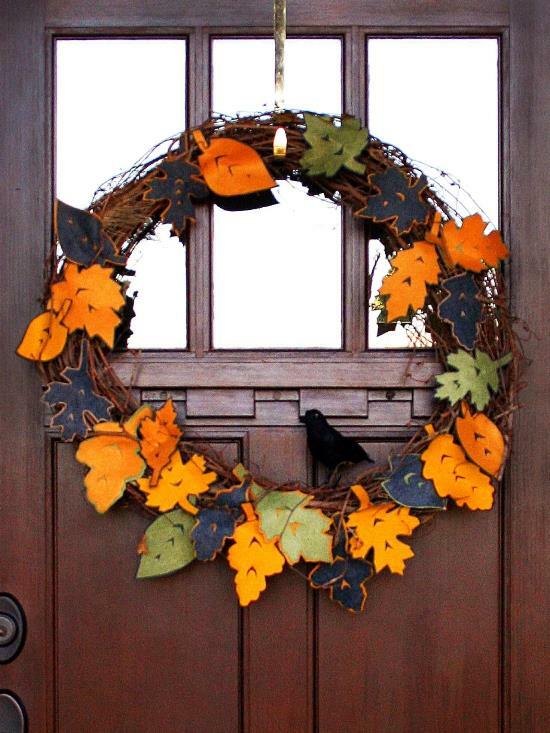 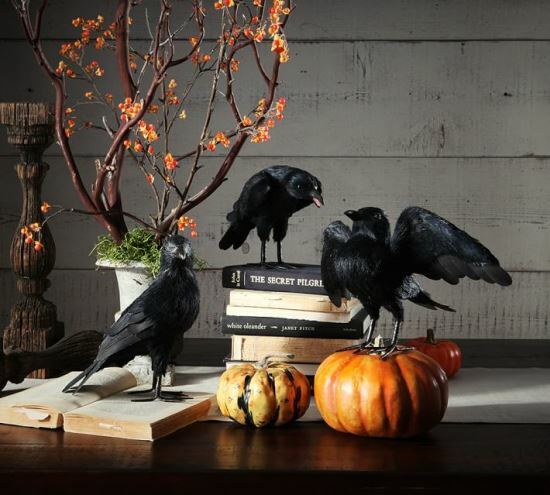 Halloween decorating ideas such as these are sure to make your party a huge success. 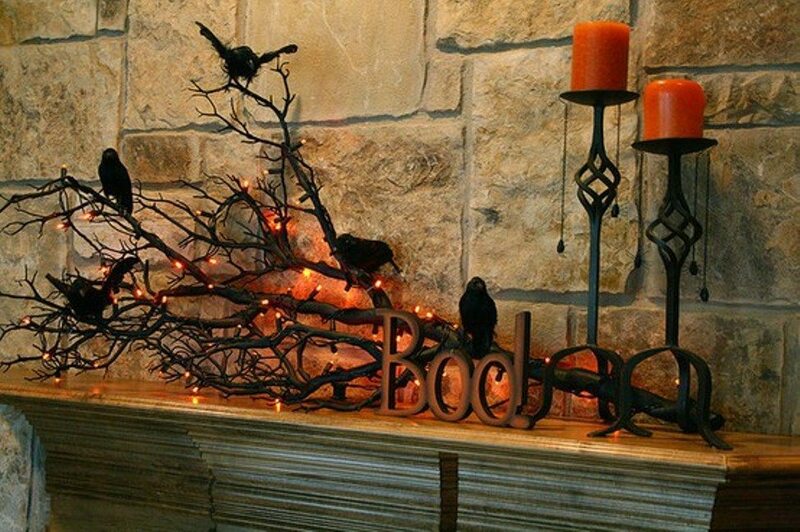 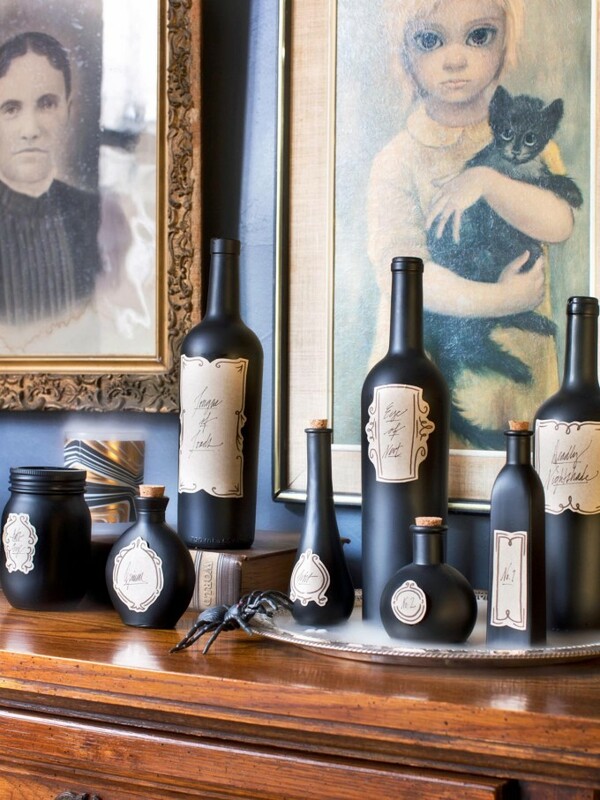 If you have a drink section, then you could add a bit of smoky effect in the area along with other decorative such as pumpkins or skulls. 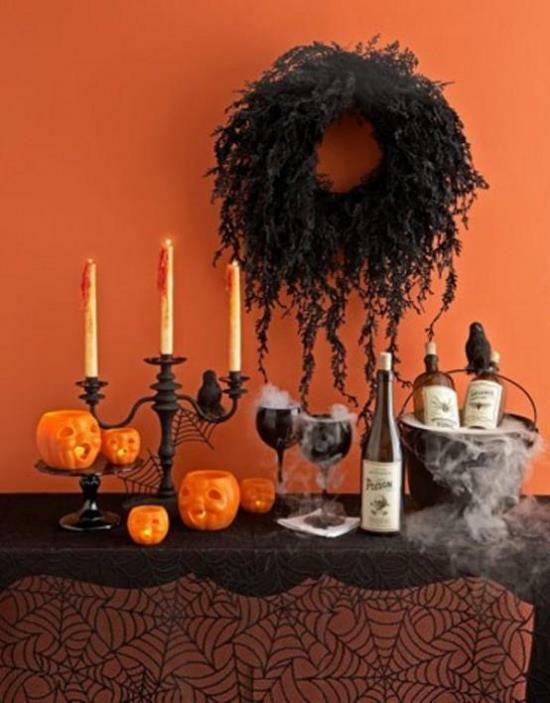 You could give an edge to your DIY Halloween decorations for the drink section by giving poisonous labels to the drinks. 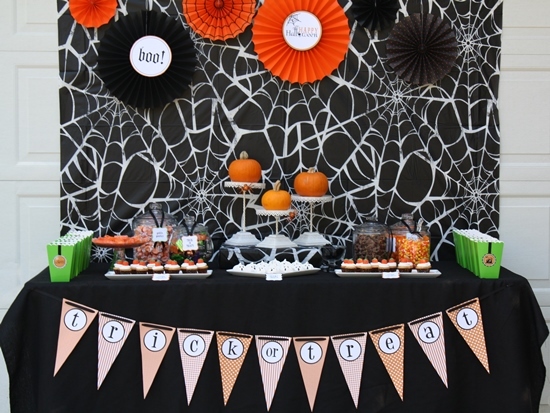 There are plenty such ideas that you can implement for your own Halloween party. 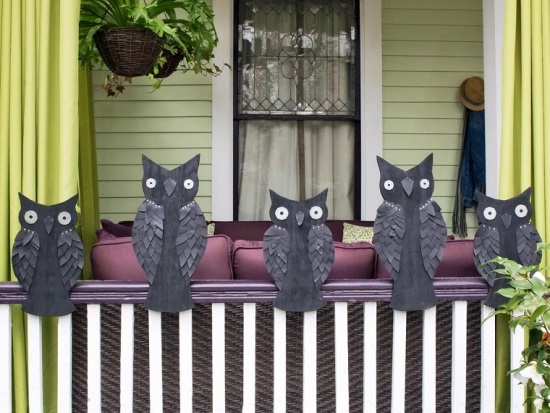 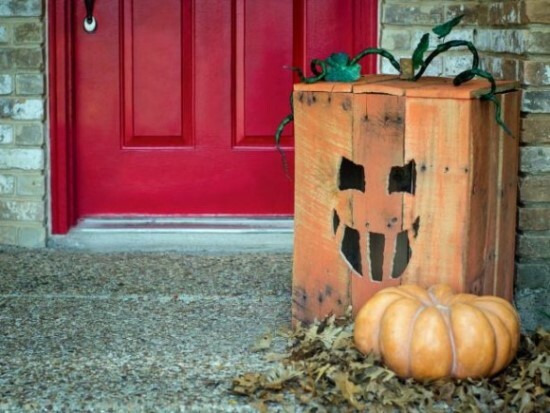 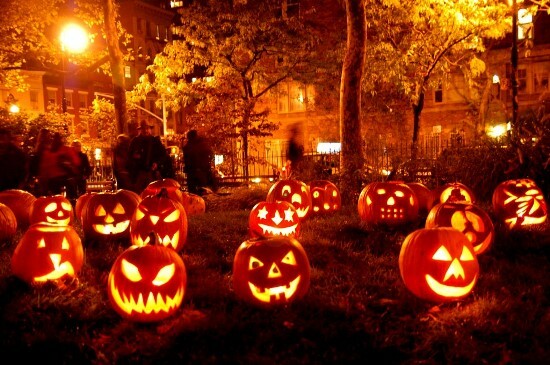 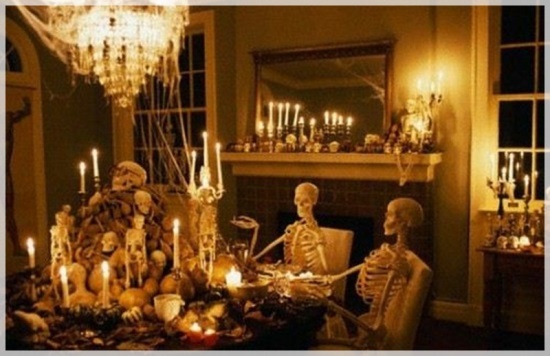 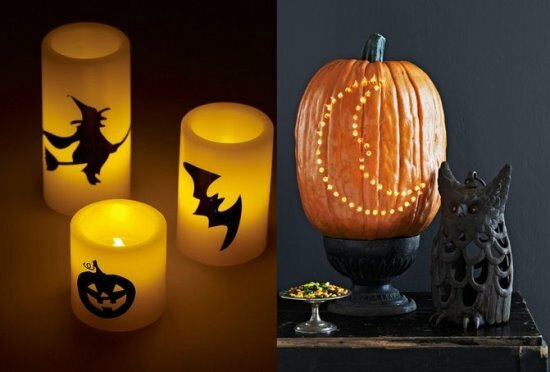 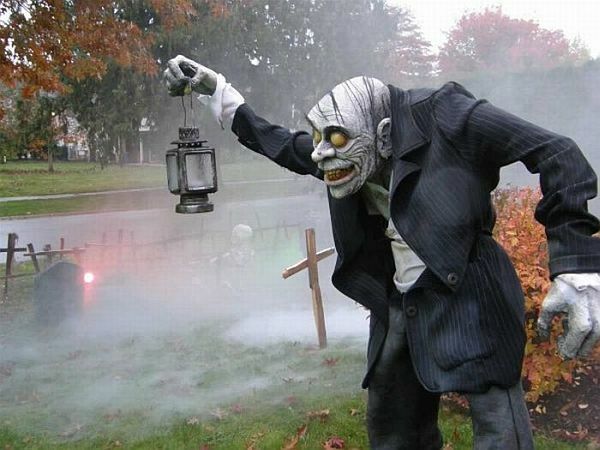 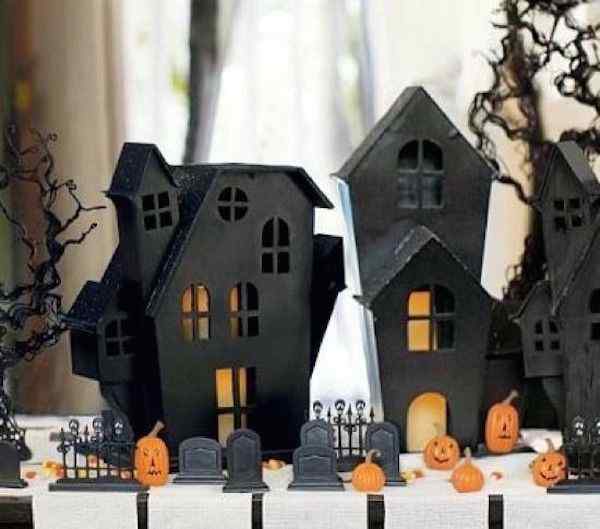 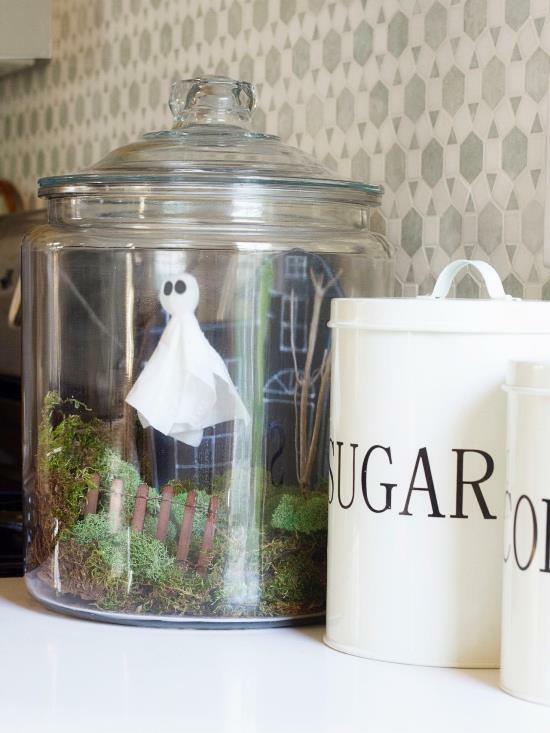 We here, have some 55 awesome Halloween party decorating ideas for you.